Thanks for joining us for Part 2 of this article! Don’t miss the vital information and helpful graphic we shared in Part 1. In our last post, we talked about how important it is to put safety first and to respect the potency inherent in essential oils. Let’s continue our discussion with four more areas to consider before using these powerful tools. There are two main types of reactions that can happen in response to external use of essential oils and it’s crucial for all users to understand them. Skin irritation was the only type of potential reaction of which I was aware when I started with oils. This is the type of reaction that one is to test for before using any new essential oil externally. Skin irritations can occur in one individual and not in another, due to individual sensitivities. Skin irritation happens on the first exposure to the irritatant, the reaction is rapid, and the severity will depend on the concentration of the irritant present. The skin responds with an inflammatory reaction. Skin sensitization is the second type of reaction and it took me years of learning to discover a thorough explanation of what it is. Skin sensitization is a type of allergic reaction. The oil will not produce any irritated reaction on the first patch test, but during later exposures, once the allergen has penetrated the skin, the body’s immune system reacts in an attempt to fight off what it views as an invader. This can result in a rash on the skin. Sensitization reactions can also take the form of inflammation, breathlessness, nausea or headache. It is possible to become sensitized to any essential oil, no matter how pure or safe the particular species or variety. Sensitization to an essential oil happens most frequently through overuse of a specific oil. This is a good reminder that it is unwise to repeatedly use the same oil (or blend of oils) day in and day out. There is benefit to changing out our oils on a regular basis and making sure they are sufficiently diluted for external use. Both of these strategies will decrease the risk of sensitization over time. Essential oils are so incredibly multi-faceted. They can do it all, and do it with style. These are the primary ways they are suggested to be used. Aromatherapy includes heat diffusion, cold nebulizing diffusion, steam inhalation, or simply smelling the oil from the bottle or applied on an item in the vicinity. It is generally agreed that aromatherapy is the safest way to use essential oils. But, even with aromatherapy, there are cautions to beware. External use covers applying an oil directly to the skin, either neat or diluted. There is a wide range of opinion as to what constitutes safe external usage, recommended dilutions, and what health situations warrant external use. Internal use is by far the most controversial form of essential oil usage, with well-diluted considered the safest form of essential oil internal use. Diluted or not, internal use requires the most research and expertise, and entails the highest amount of risks. There is a range of risks and contraindications inherent in the available options of essential oil use. Understanding this is an important step in being an informed consumer and moving beyond the naive view that all oils are equally safe and viable options for everyone. When I first began using essential oils, I was very careful to read everything I could that was published by or recommended by representatives of the company from which I bought them. After all, who better to trust than the source of the oil itself? Now that I’ve read many more books, scientific studies, and articles written by certified aromatherapists, I feel a little betrayed by the narrow scope of information given by the company I placed my trust in as a fledgling essential oil consumer all those years ago. There was so very much that they didn’t say, and so much they did say that I found out later was not a reflection of what other experts considered good advice. My perspective has changed and I no longer hold that company completely responsible for my ignorance as a consumer. I know now that the information a company publishes and shares about their essential oils, with recipes, dilution recommendations, cautions, warnings, and benefit suggestions will all be driven by that company’s philosophy, the personal way the individuals in that company use oils, and the training and personal knowledge of the people in the company. It will also likely be heavily filtered and carefully worded due to the legal restrictions placed upon alternative health businesses. 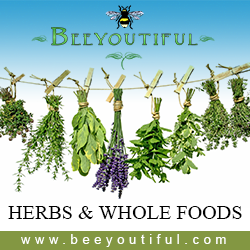 Through the years, Beeyoutiful’s essential oil descriptions have been revised multiple times. Many times, the edits were very frustrating for us to make because they meant removing information that could be very beneficial for consumers to know but that we are not allowed to share based on our best understanding of FDA guidelines. 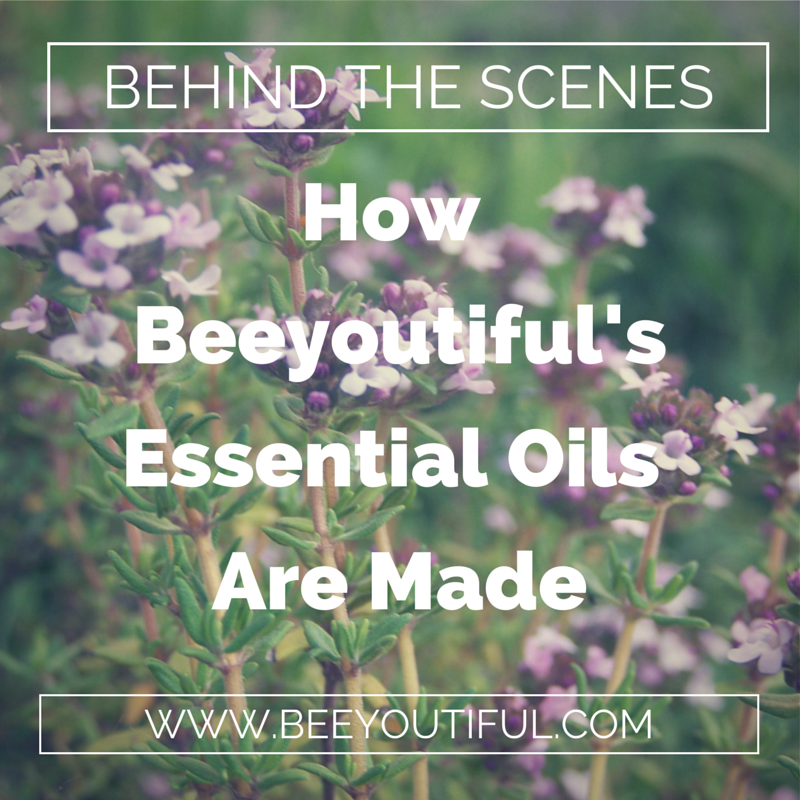 Other times, the edits were made to reflect new information as we learned it about specific essential oils. The most recent round of edits was intended to be more comprehensive of health, age, and pregnancy and nursing precautions. We’ve shared how our oils are made, and we’re happy to answer your common questions about them. 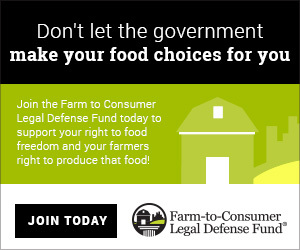 We are sharing, educating, and disclosing everything we can to the best of our ability, and even so our efforts, on their own, will never be enough to make you a truly informed consumer. No company selling essential oils will ever be able to educate you well enough because the restrictions are too great and our knowledge base is not comprehensive enough even if we could write what we wanted without restrictions. 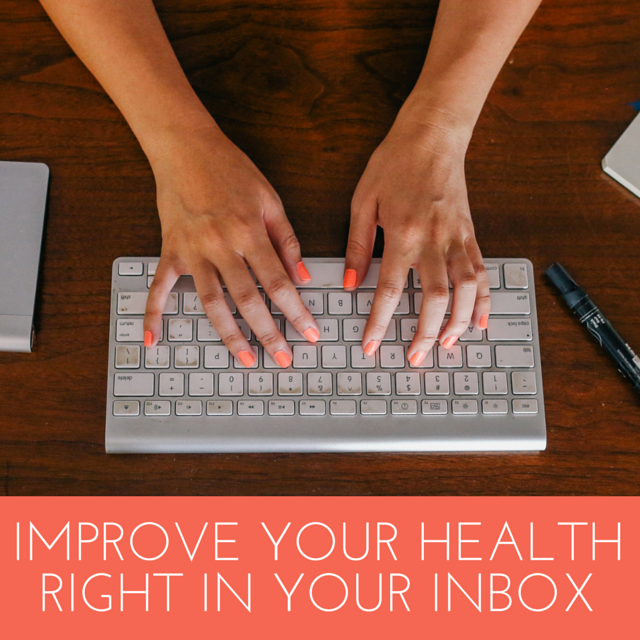 We will never be experts on your health history, or that of your children and your family. We will never be your personal healthcare provider. We are here to simply make available the tools we use with our own families, and do our very best to share helpful information along the way. We carry books about essential oils and freely give reading recommendations for resources that we trust that will help fill in the gaps we know exist between where our product descriptions end and where knowledgable consumerism begins. Please take advantage of these resources! It is so worth it to have a broad understanding of how these marvelous essential oils work, and this knowledge will enable you to use essential oils for the rest of your life. Missed the important information in Part 1 of this article? Read it here! If you found this information helpful, don’t keep it to yourself! Use the buttons below to share it with a friend, and make sure to follow us on Facebook, Pinterest, and Instagram. But, after a scary episode with our very young daughter having breathing troubles that nearly landed her in the hospital, we broke down and bought a diffuser and some basic oils. That was the start of our learning journey and we’ve been pursuing more experience with and knowledge of essential oils throughout the years since. We’ve faced plenty of twists and turns on our road, and I want to share with my friends some tips that I wish someone had shared with me at the very beginning of our essential oil journey. These are particularly crucial points to understand if you are a parent making essential oil decisions for young children. Essential Oils are incredibly powerful. This is what makes them such marvelous and multifaceted tools, but it’s chilling for me to remember the lack of respect that I had for essential oils when we first began using them. 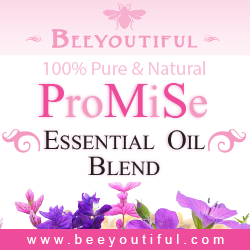 I learned quickly that since essential oils possess highly concentrated amounts of active compounds and properties of the plants from which they are sourced, it is entirely possible to be allergic to an essential oil, or for an essential oil to exacerbate an underlying health condition, or simply be too much for an individual body to handle in specific situations. Here’s the real deal about safety and essential oils. It’s tempting to think that because they are ​pure and natural​ that they are of course also ​safe and gentle​. This is not always the case! (Hemlock and cocaine are also ​pure​ but nobody would call them ​safe!). Unfortunately, there is enough conflicting and even flat-out dangerous information out there to sink a ship. Personal responsibility as a consumer is a big deal. 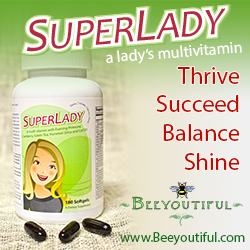 Here at Beeyoutiful, we advocate for informed consumerism in all of life. In some areas, the stakes are relatively low and the margins to live and learn are pretty generous. However, because of their sheer concentration and potency and how they can be so easily (even accidentally) misused, the stakes with essential oils are substantially higher. It is crucial to take the time to be an informed consumer of essential oils. Essential by definition means (in this context) the purest, most concentrated extract possible. Find out the reasons that even some experts are hesitant to use them in any form except aromatherapy, and only with very select oils for children under 10, 6, and 2 years of age. Learn why some experts recommend a minimal dilution. Learn about each individual oil that interests you. If you understand the philosophies the experts use, you will be able to decide when you’ll want to apply caution, and in what situations you might personally be comfortable with a more aggressive approach. Oils are amazing, incredible tools. 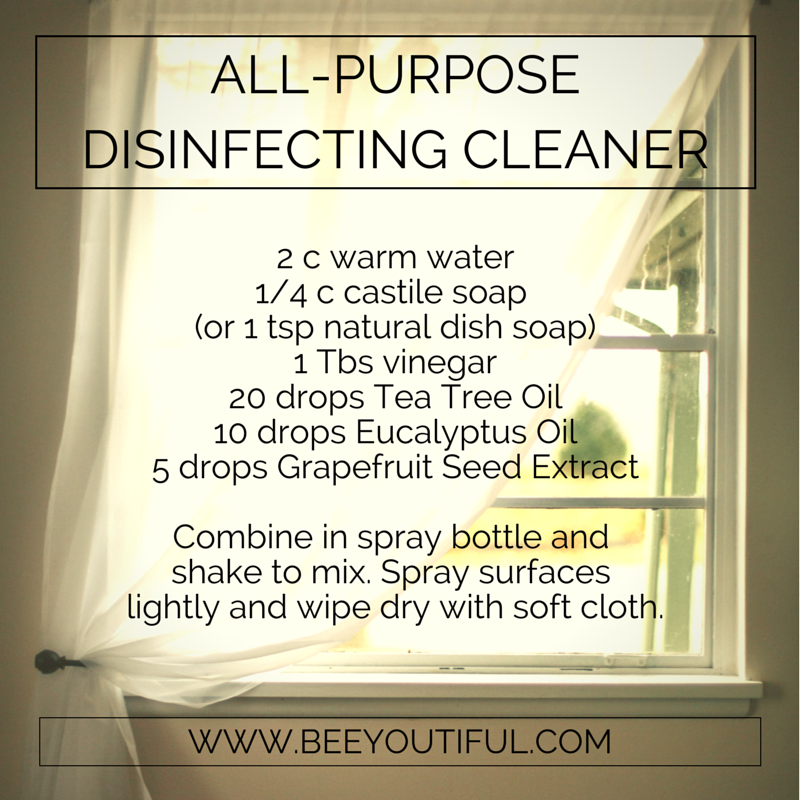 We use them daily, if not multiple times per day in our household in a wide variety of ways. But I no longer reach for oils first when I face a health situation. Or even second. And often times not third or fourth either. 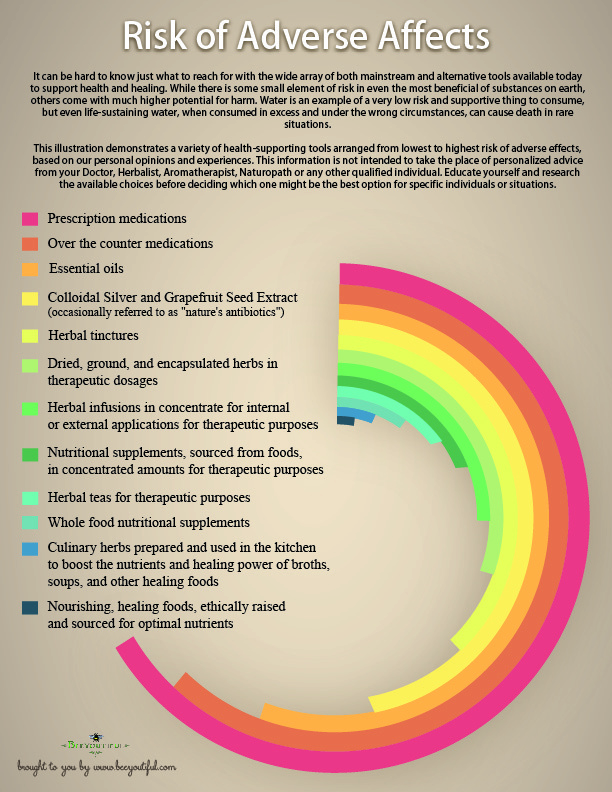 This chart is a helpful visual to represent the degrees of potency and risk of adverse effects available to those of us who prefer to use tools from nature to support health and healing. You might be surprised to see that essential oils are ranked right up at the top, just under over-the-counter mainstream medications. Continue reading Part 2 where we consider four additional crucial things you need to know BEFORE using essential oils. Was this post helpful? Share it with a friend who needs to know this important information!